The WHPA Board of Trustees gratefully acknowledges the significance of partnership with the following organizations. Vermont Land Trust (VLT) holds conservation easements for and monitors the Pinnacle Association properties. Vermont Housing and Conservation Board (VHCB) has provided over half the funding for acquisitions and holds easements for Pinnacle Association properties. Vermont Housing and Conservation Coalition is an advocacy group comprised of grantees of the VHCB. Grafton Historical Society (Grafton History Museum) helps us to envision and prepare for public visits in the quarry area. The Nature Museum at Grafton cooperates with the Pinnacle Association on program events and meeting space for the Athens Dome at Grafton Conservation Committee. Grafton Improvement Association has granted a trail license across its property in Grafton and is supportive in a variety of other ways. Bellows Falls Union High School property has an extensive network of trails that connect with those in the Bald Hill Reserve, managed by the Bald Hill Conservation Committee of the Pinnacle Association. Bellows Falls Historical Society is working closely with the Bald Hill Conservation Committee of the Pinnacle Association to extend that network of trails all the way to the Historical Society’s riverside park in Bellows Falls. Basin Farm is a religious community and an organic working farm with extensive lands on both sides of the Saxtons River that are conserved by the Vermont Land Trust. Through an agreement with VLT and Basin Farm, the Bald Hill Conservation Committee of the Pinnacle Association is working with the Farm to develop, mark, and help maintain some of its trails as part of the planned longer trail system from Westminster to Bellows Falls. 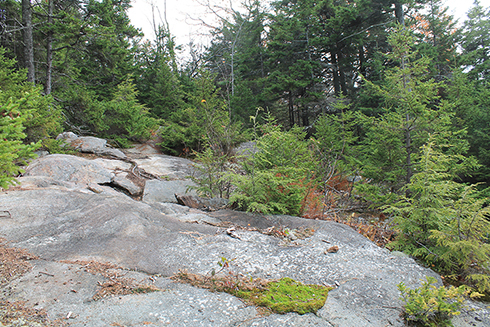 Putney Mountain Association is the sister land trust that manages trails along the southern end of the Windmill Ridge. Land Trust Alliance provides professional standards and best-practices advice, training, and insurance for land trusts nationally. 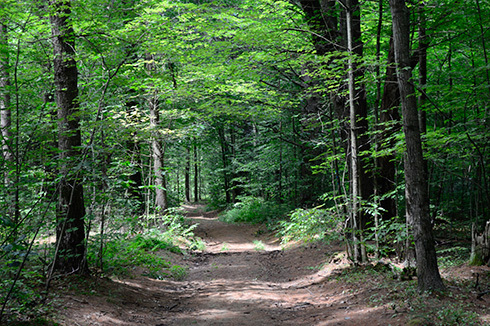 Vermont Trails and Greenways provides professional guidance and resources in support of trail construction and maintenance. American Hiking Society provides networking and resources to encourage safe trails and positive hiking experiences. FirstLight has generously provided the Pinnacle Association with support for internet and telecommunication services that has enabled the organization to function digitally at an affordable rate. Pinnacle Association’s Athens Dome Trail.